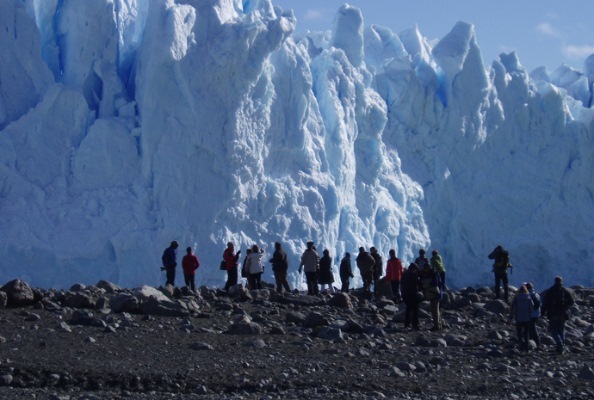 Come with WILDFOOT to this amazing region of glaciers at the southern end of the Andes, close to the Chilean border. Take a minitrek on a glacier, see armadillos and flamingos and maybe even catch sight of a puma or condor. 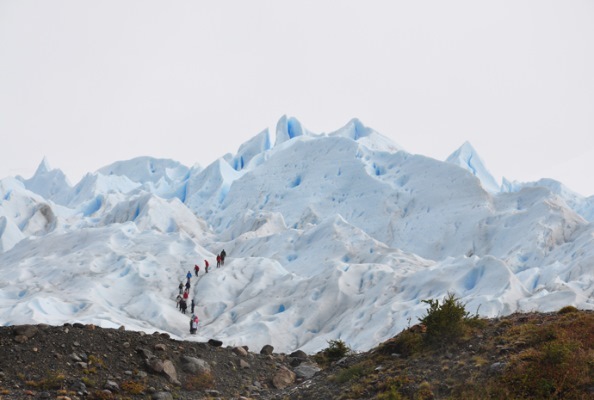 Most visitors to the glaciers stay in the nearby small town of El Calafate, which now boasts an international airport and is the main departure point for all the tours in the region. 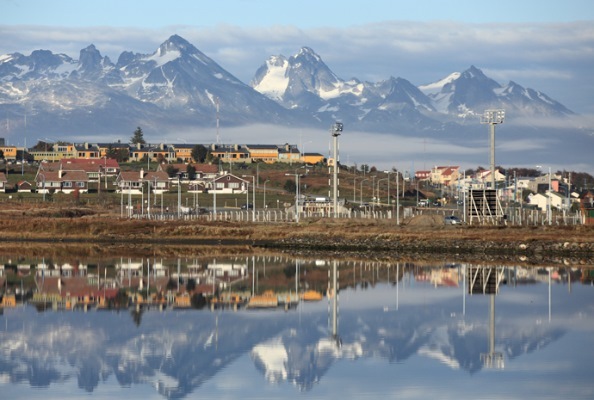 The name of El Calafate comes from the Calafate, small berry-bearing bush typically to be found in southern Patagonia and whose fruit is used to make jam. Legend has it that who ever eats Calafate jam will always come back for more. At the Walachia caves, just 8km from the town in a four-wheel drive or on horseback, you can see cave paintings which are some 3000 years old. The town of El Calafate is a short distance from the National Park, whose southern plum trees flower red in spring while in summer yellow and white orchids bloom in the crooks of gnarled grey trees. Red and grey foxes flee approaching cars while the air bears a faint but distinctive waft of skunk spray; cinnamon-coloured guanaco deer balance on rocky crags and below, large Patagonian hares leap from bushes across streams. Transfer from Calafate airport (FTE) to the hotel - Twenty minute drive in a private vehicle with bilingual guide. Assistance with hotel check in. Full-day tour to the Perito Moreno Glacier through the National Park, a beautiful drive of some two and a half hours with stops to enjoy the view, including the Corner of Sighs, where you get your first full view of the Glacier. During the drive, you might catch a glimpse of red and grey foxes fleeing across the heathery landscape, while the air bears a faint but distinctive waft of skunk spray; in the distance cinnamon-colored guanaco deer balance on rocky crags and below, large Patagonian hares leap from bushes across streams. 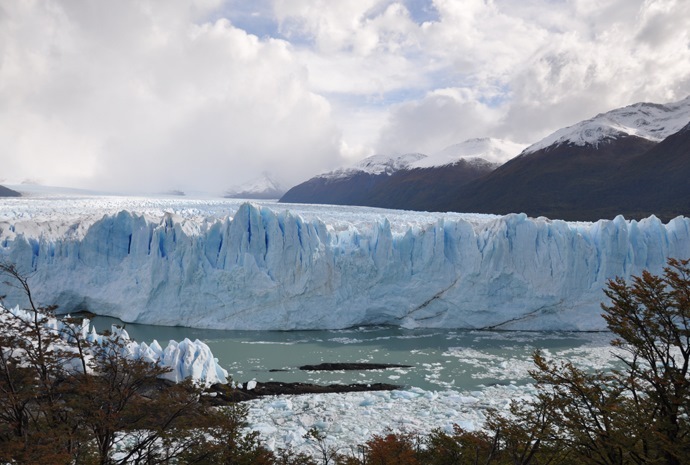 The Perito Moreno glacier is thirty kilometers long, this imposing wall of ice towers some 70 meters above the walkways that offer you a selection of different views from the promontory of Península de Magallanes that juts out into the Lago Argentino. As you stand below gazing up at the massive rugged face, you become aware that the glacier is very much a living, evolving thing, as creaks and cracks like rifle shots preface the “desprendimientos”, huge chunks the size of houses which break off and fall in slow motion through the air into the black waters. They hit the surface with an almighty crash, submerging and rising up again to bob away as icebergs into the centre of the lake. Enjoy breakfast at the hotel and then have a day at leisure to take part in an optional tour. 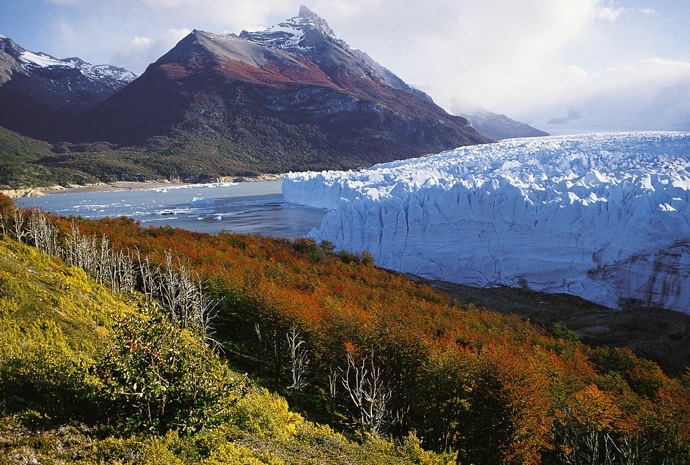 We can highly recommend the 'Upsala Glacier & Estancia Cristina Discovery'. The legendary 'Estancia Cristina' is found within Los Glaciares National Park, at the foot of the majestic Cerro Norte (North Mountain), in the valley of the Caterina river, one of Patagonia’s most fascinating yet less known valleys, a preferred access to the Patagonian Ice-Field. Enjoy the incredible scenery and the feeling of being in a secluded get-a-way as you come close to the culture and history of the pioneers of this remote land.